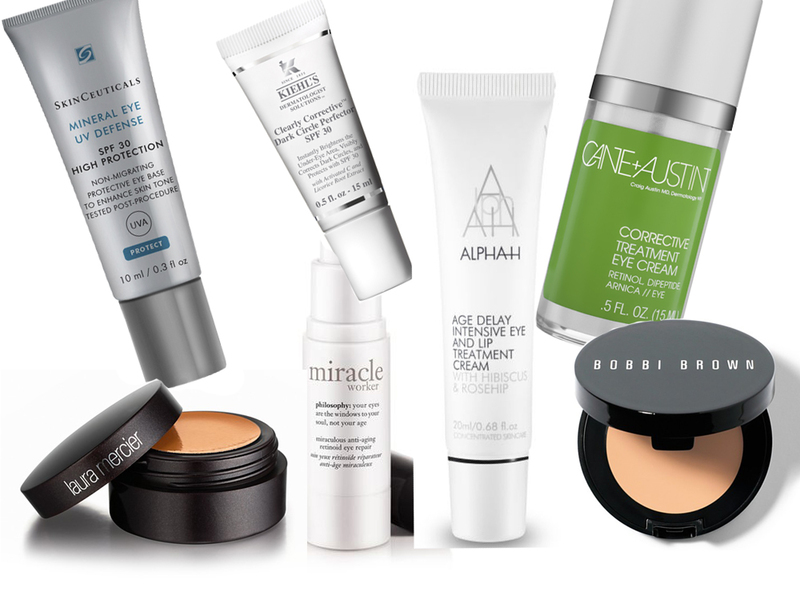 Dark circles: we hate them but we won’t be beaten. Here’s how to show your dark circles who’s boss. Dark circles, they make you look drawn and tired even when you’re not. They make you look older than you are, grumpier than you are and they’re tricky to disguise unless you know what you’re doing. They could be plaguing you for a number of reasons; maybe they’re hereditary (does your mum or your grandmother have stubborn dark circles? ), they could be UV induced or they could be down to your ethnicity (Indian women, for example, are more likely to have them). Regardless of why they’re there, there’s plenty you can do to prevent and hide them. If you’re prone to pigmentation, UV just makes the situation a whole lot worse. The skin around your eyes is naturally thinner – and weaker – than the skin on the rest of your face making it even more vulnerable to the pigment-inducing effects of UV. Make sure you use a broad-spectrum product around your eyes – meaning that it protects against both UVA and UVB – that has been specifically formulated for the area; they’ll be gentler and less irritating. Personal favourites include SkinCeuticals Mineral Eye UV Defense SPF30, £26, and Kiehl’s Dermatologist Solutions Clearly Corrective Dark Circle Perfector SPF30, £29. They’re both comfortable to wear and contain a little pigment so you can do away with the under eye concealer if you want. Don’t be put off by retinol; it’s not scary and it works magic with dark patches of skin. While you can use any skin product containing retinol around your eyes it’s best to opt for a product that’s been designed with that area in mind as it will contain less of the ingredient. Retinol is a derivative of vitamin A and it helps to speed up cell turnover and promote the production of collagen. Both things that are particularly useful when it comes to preventing and treating dark circles. Depending on your budget try either Cane + Austin Corrective Eye Cream, £76, which contains retinol plus arnica and vitamin K to minimise the appearance of broken capillaries or Philosophy Miracle Worker Miraculous Anti-Aging Retinoid Eye Repair, £32. They’re both brilliant. Retinol will make your skin more vulnerable to the sun however so be sure to top it up with an SPF. Look for ingredients such as Kojic Acid and Vitamin C in your eye product. They’re used in skin care to brighten skin and break-up patches of pigmentation and in smaller doses works wonders on the eye area. I love Alpha H Age Delay Intensive Eye and Lip Treatment Cream, £36.50, combines Vitamin C with A and E.
A salmon-pink concealer blended under your eyes will counteract dark circles. This is true for all skin tones. In my opinion Bobbi Brown Corrector, £19, and Laura Mercier Secret Concealer, £19.50, are hard to beat. They’re creamy, easy to blend and they don’t crease, while expertly canceling out dark circles. If you have dark under eye circles don’t bring your eye shadow under your bottom lashes, you’ll just accentuate it. Instead keep your colour on your lids and run a brightening eye pencil along your bottom waterline. Avoid stark white on your waterline, it looks a little dated, instead opt for something a shade or two lighter than your skin tone.